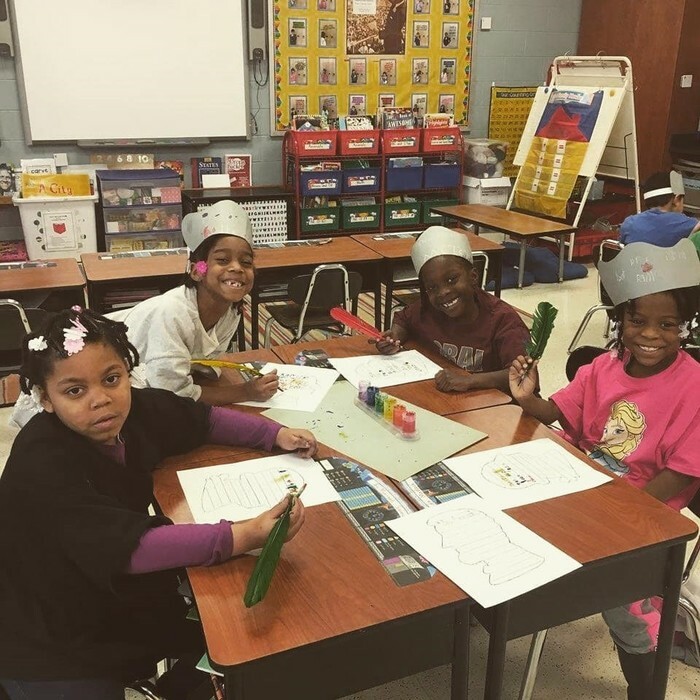 Mrs. Ores' 2nd graders at Oak Glen are all smiles as they learn in their Geometry Math Stations! 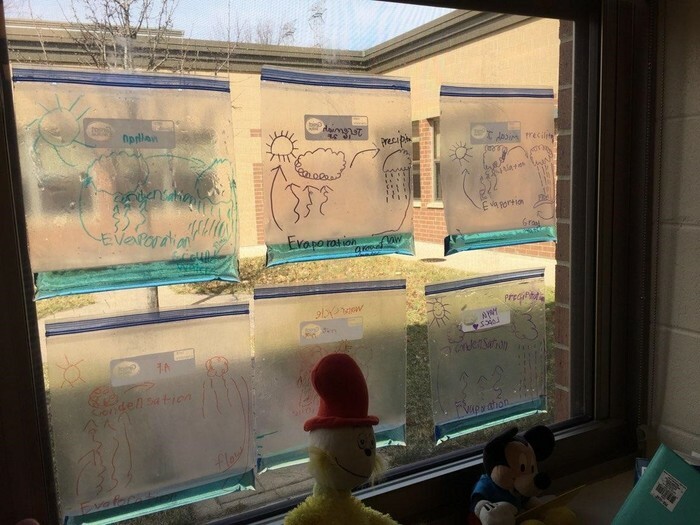 Mrs. Forsyth's 2nd graders at Oak Glen completed their Water Cycle projects! 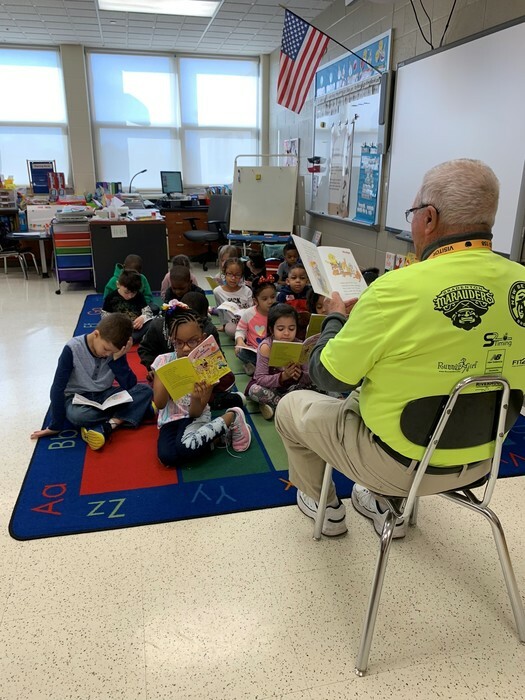 Thank you Kiwanis for not only reading to our Oak Glen Kindergarteners but also providing everyone with a book! 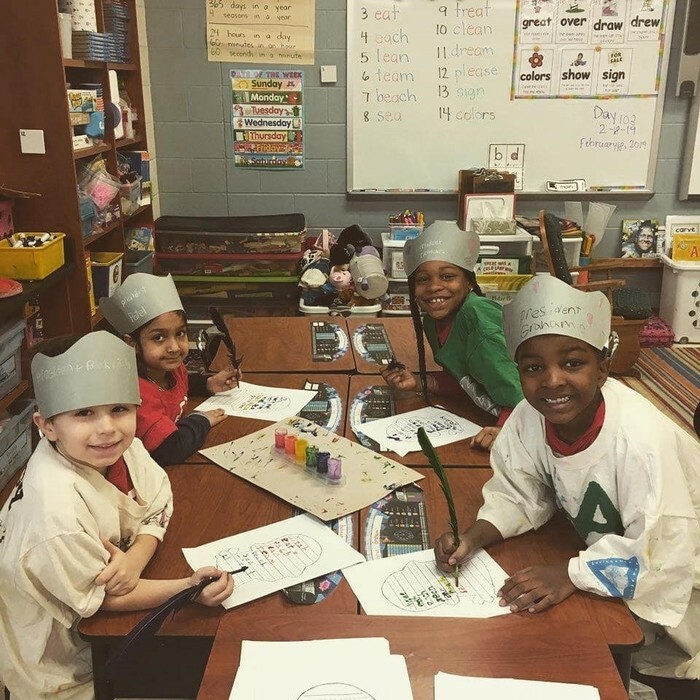 Mark your calendars for this Friday March 22nd and invite your family and friends! 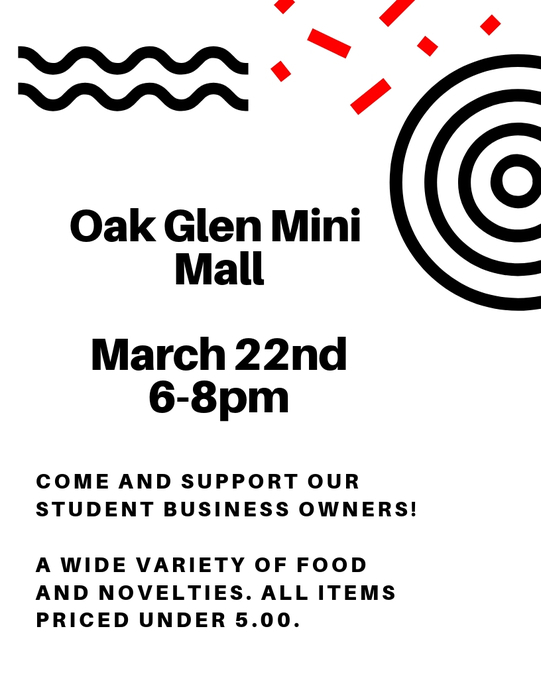 Come out and support our young entrepreneurs in their business endeavors. 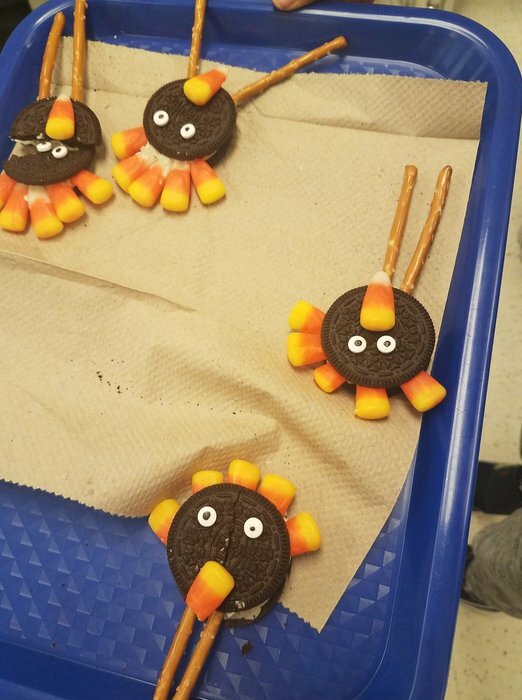 There is a wide variety of food and novelty items being sold. 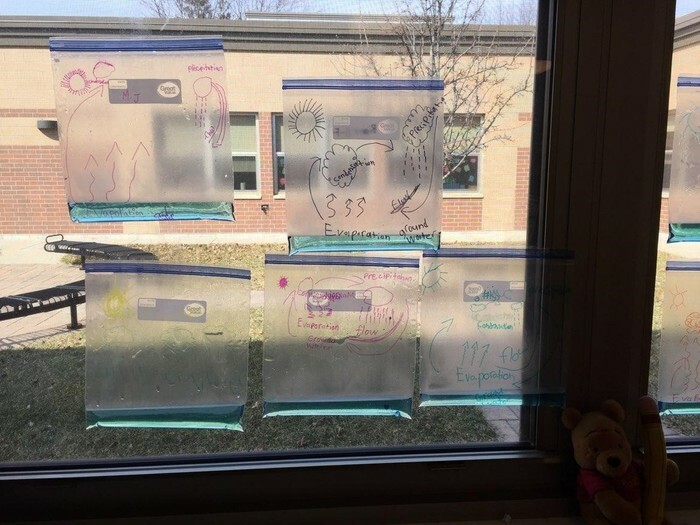 All products sold are under 5.00! 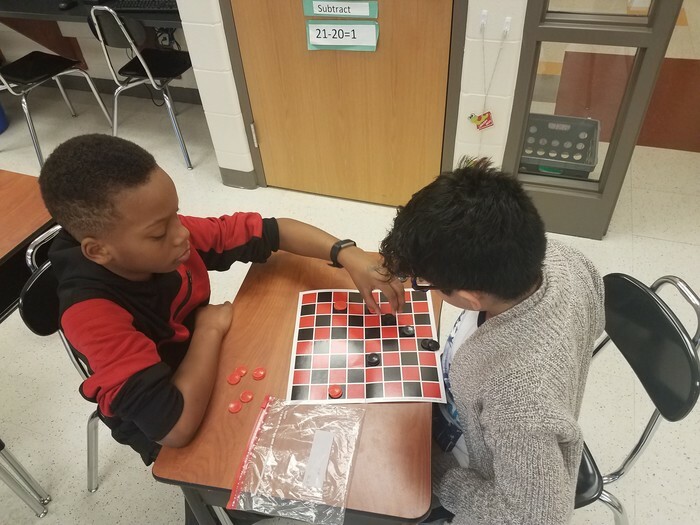 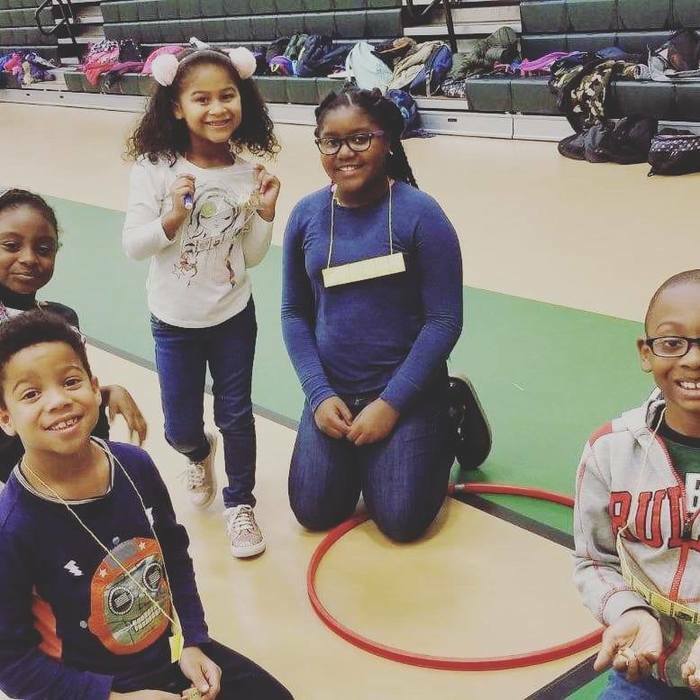 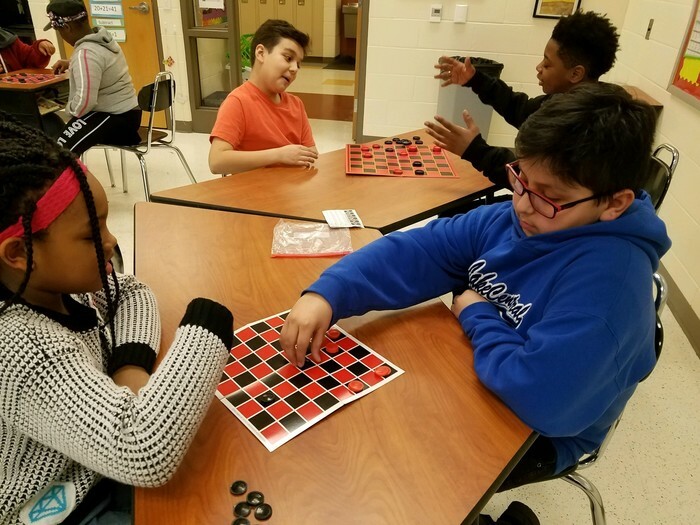 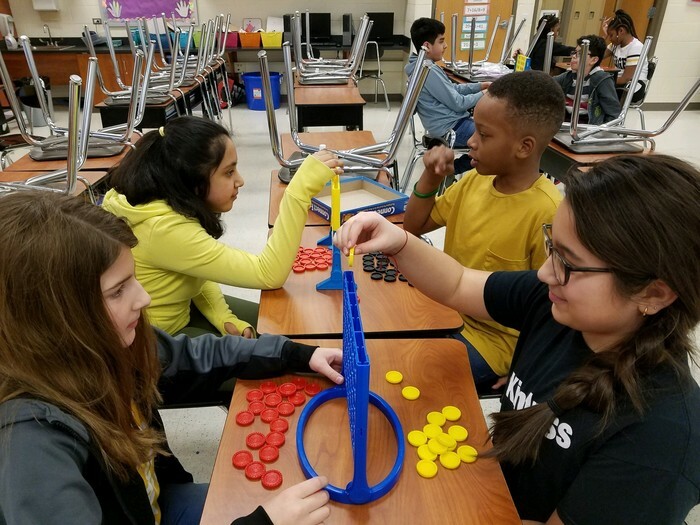 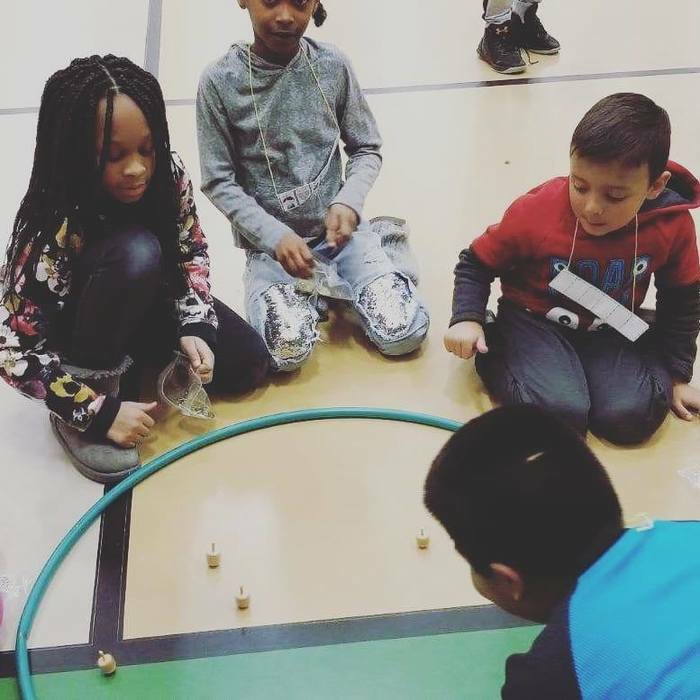 Oak Glen's Strategic Games Club flexes their brain muscles while having fun! 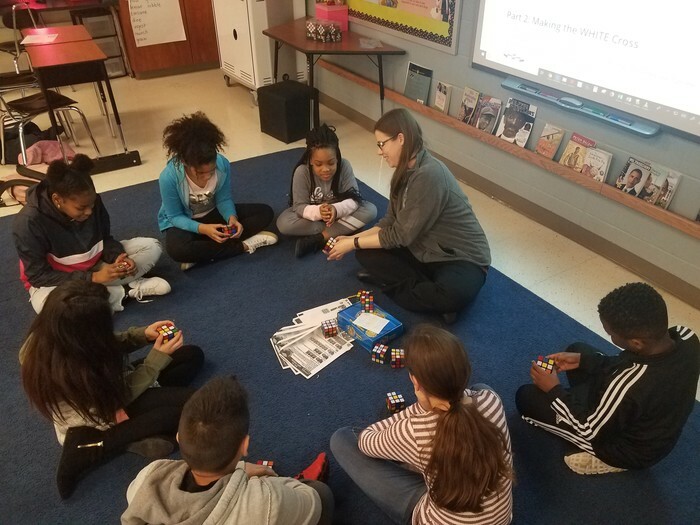 Thank you Mrs. Cialdella and Ms. Bown for facilitating a great club for our students! 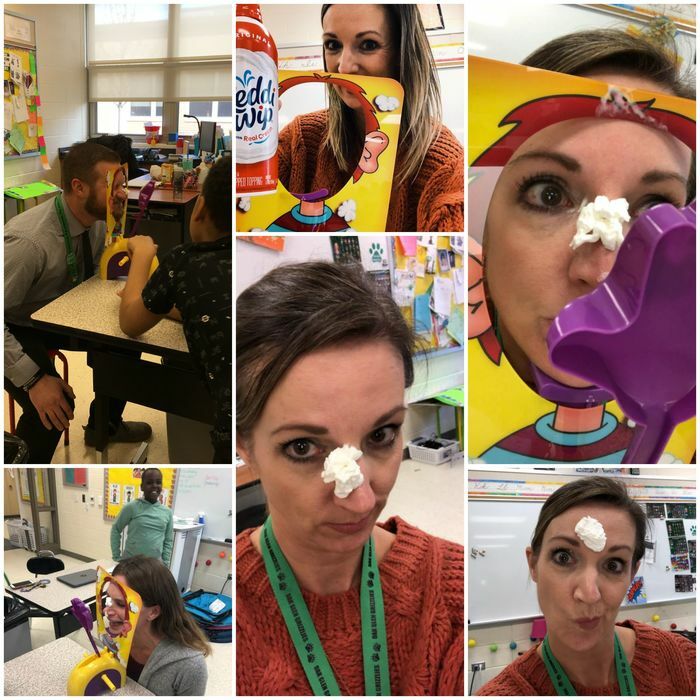 For each practice Illinois Assessment of Readiness (IAR) question correct, Oak Glen students had that many chances to get a pie in 3rd Grade Teacher Mrs. Larson's face! 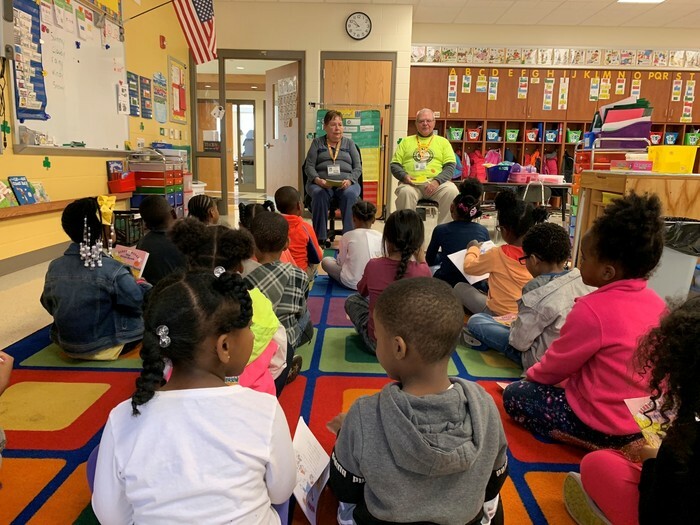 Even Principal Mr. Earnshaw and 1st Grade Teacher Mrs. Annicks got in on the fun! 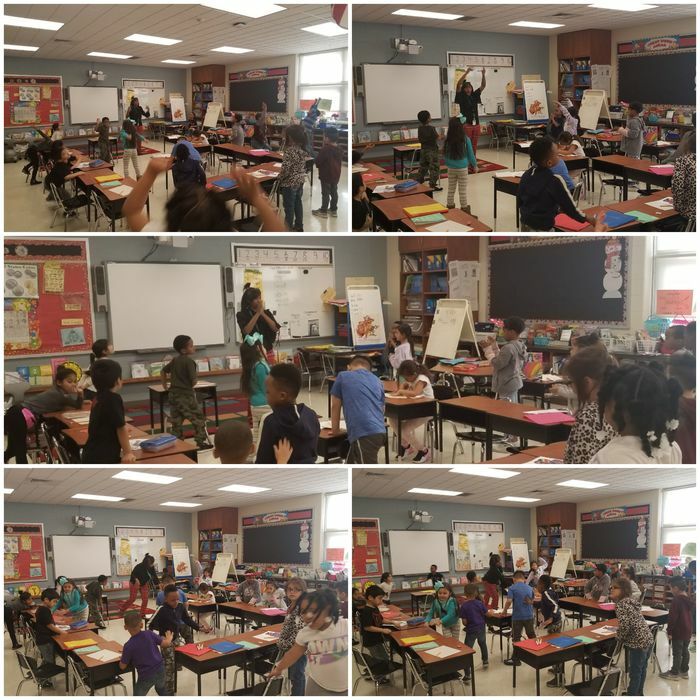 Mrs. Robins' first graders at Oak Glen get up and move to learn their consonant blends! 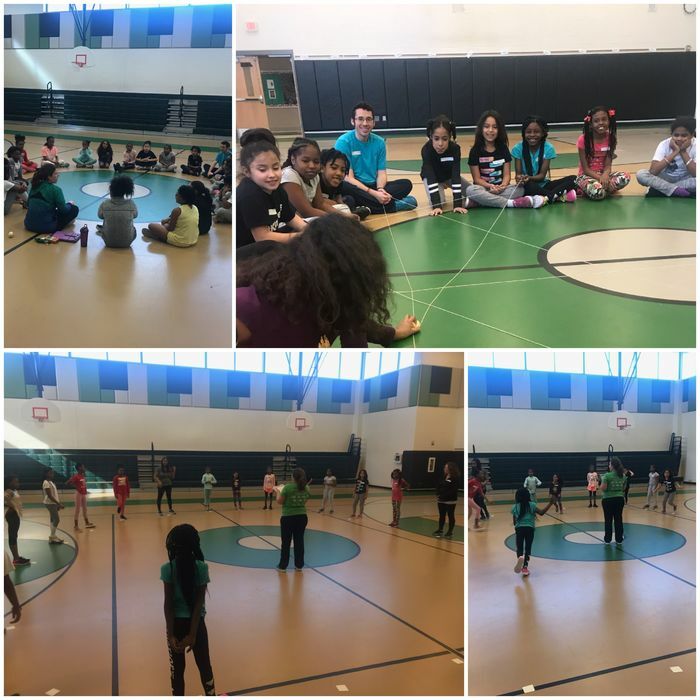 Oak Glen's first Girls on the Run practice! 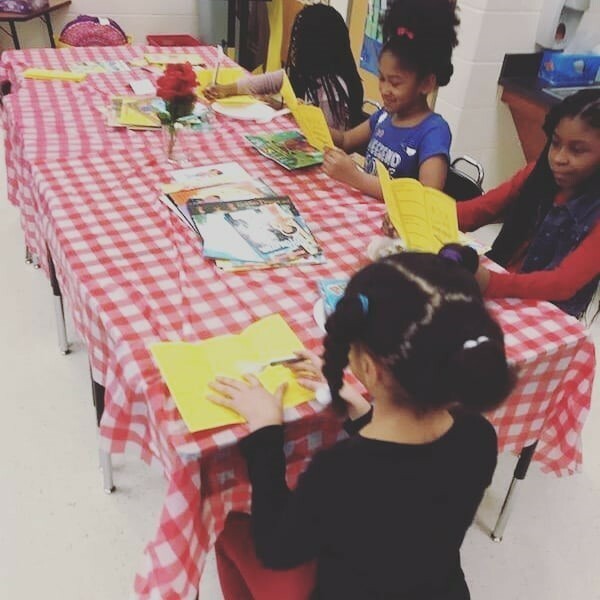 We're so excited to finally have this program happening here! 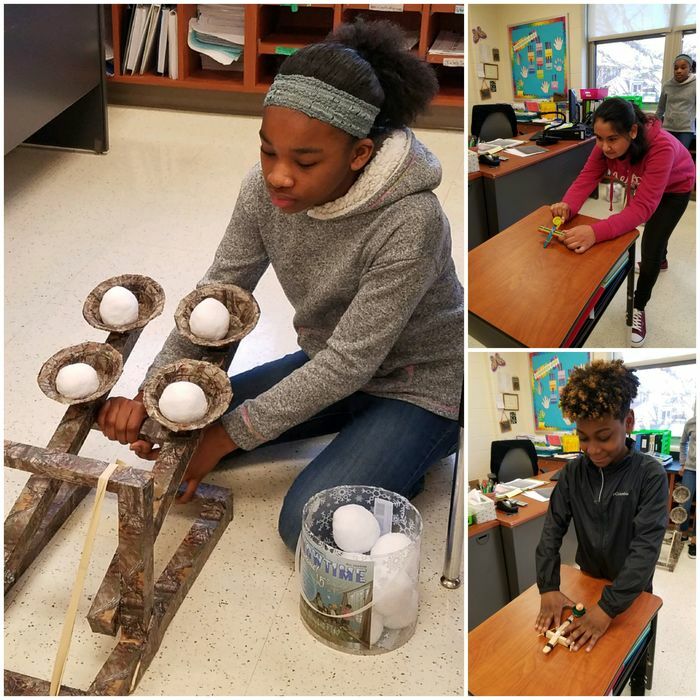 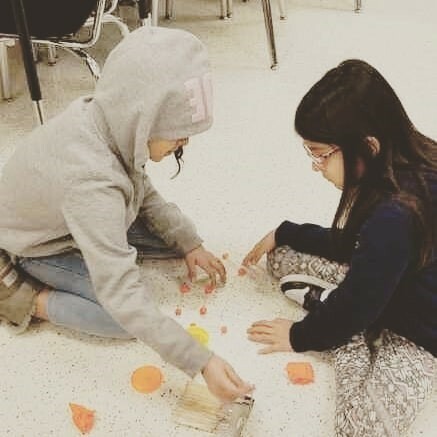 Mrs. Cialdella's 5th grade class at Oak Glen testing their math equations with catapults! 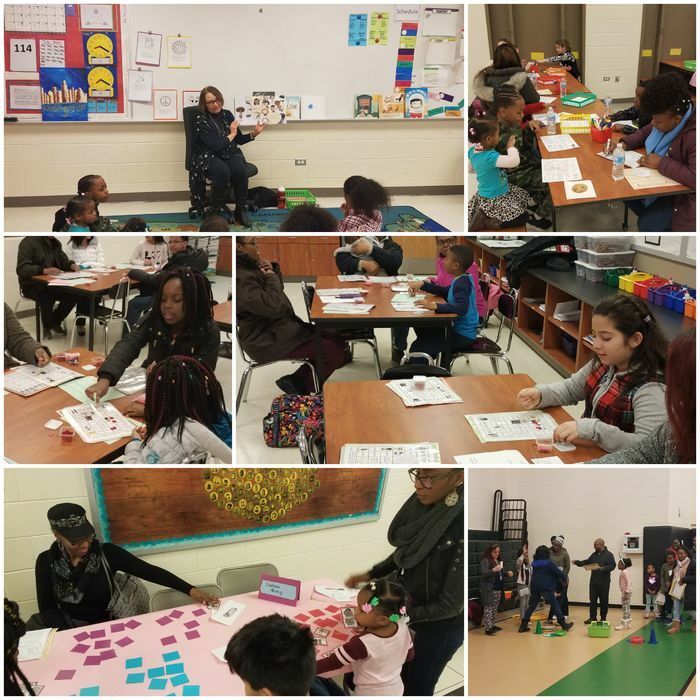 Oak Glen Family Peace Maker's Night was another success! 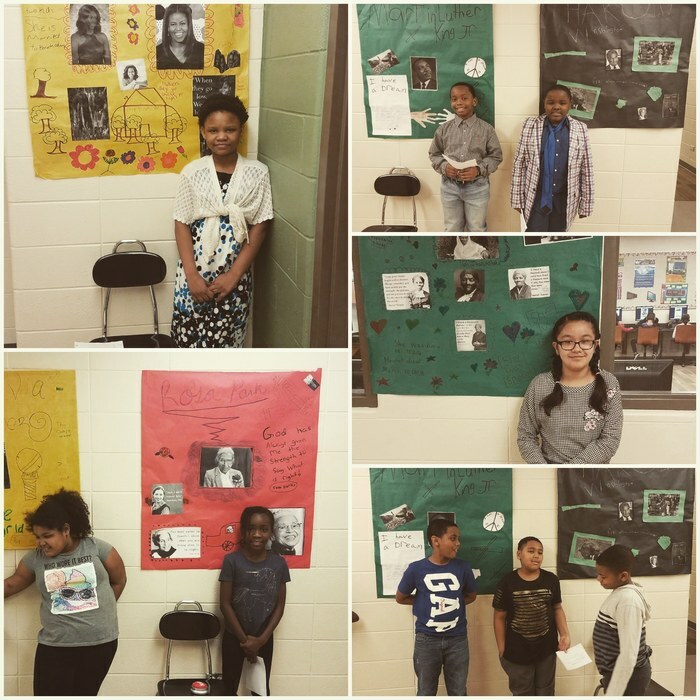 So cool to visit our 4th grade Wax Museum in honor of African American History month! 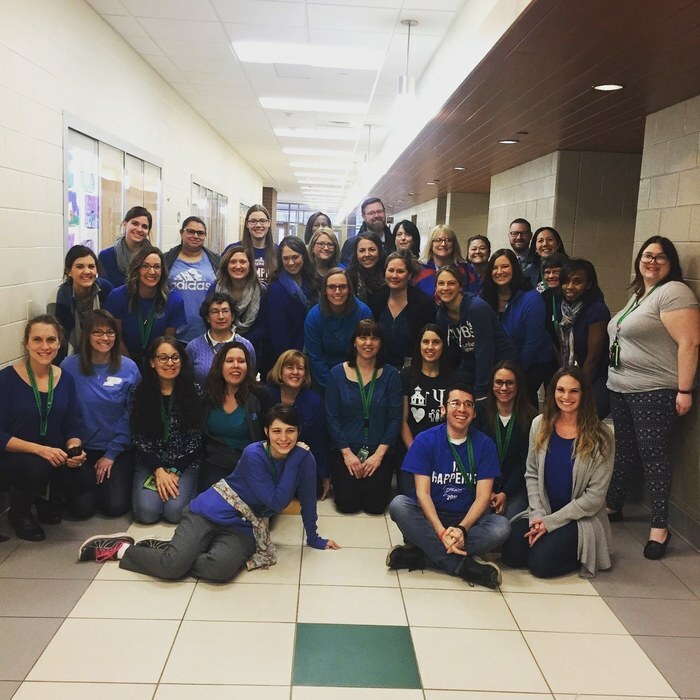 Oak Glen Grizzlies showing support for Rare Disease Day! 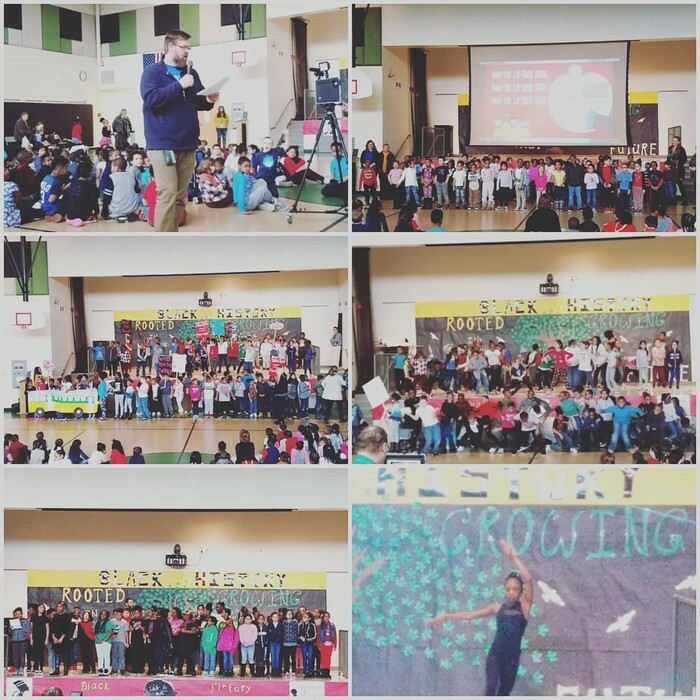 Oak Glen Grizzlies put on an amazing assembly for Black History Month! 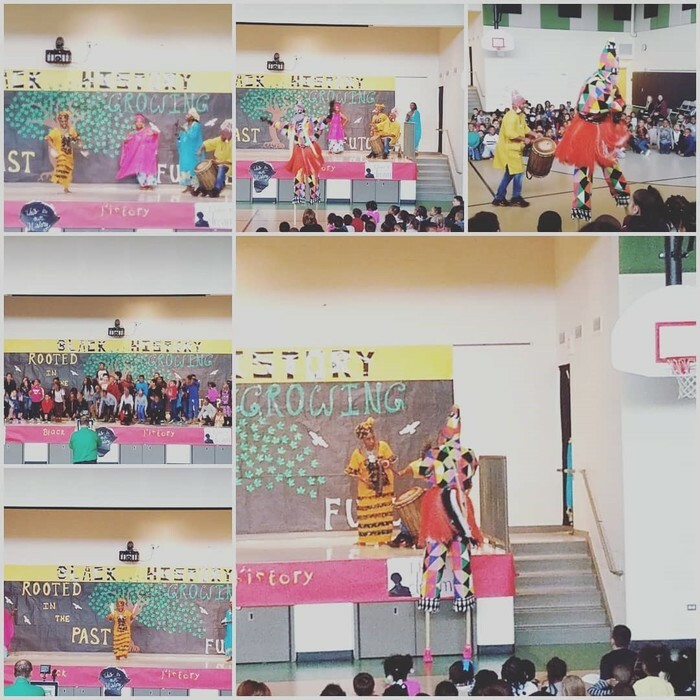 We even had a special performance from Moya Dance Troupe! 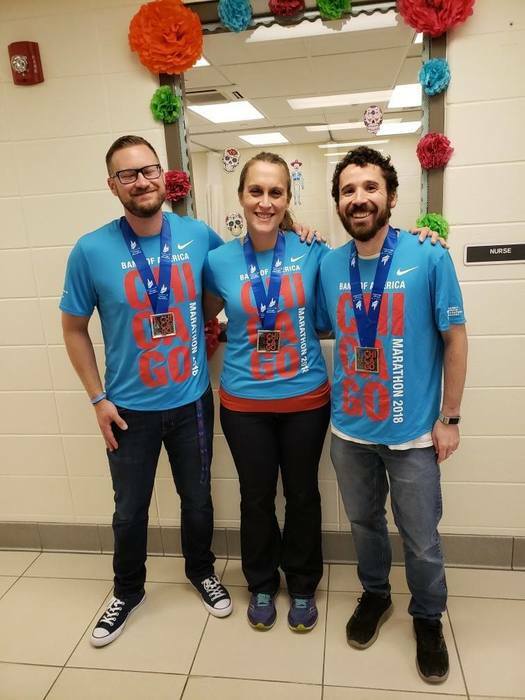 Thank you Mrs. Ellis for all your hard work organizing, Mr. Corrie for MC'ing, and Mr. Ferguson for filming! 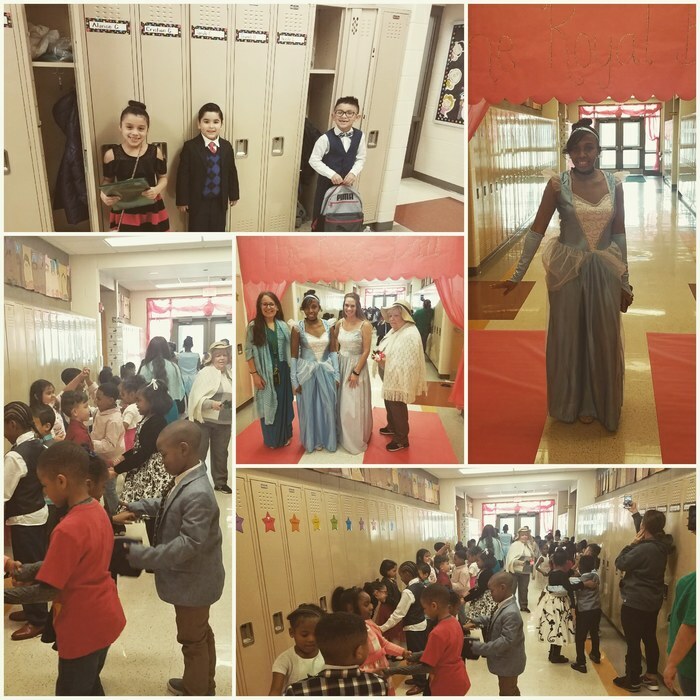 Oak Glen 1st graders finished their Cinderella unit by being cordially invited to the Royal Ball! 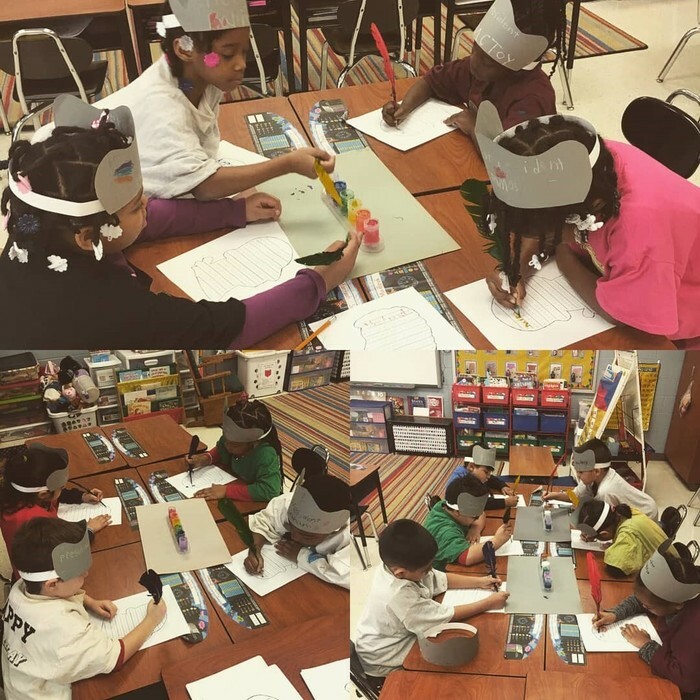 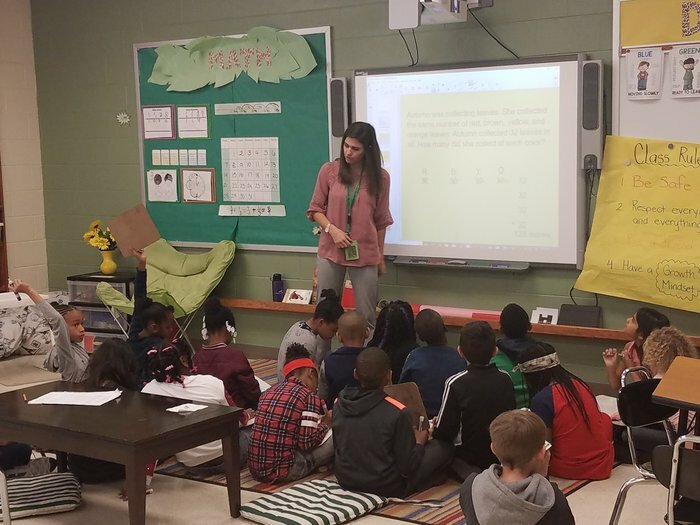 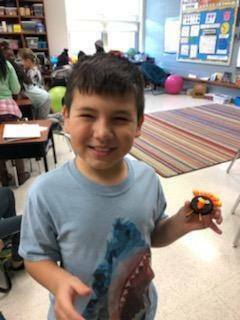 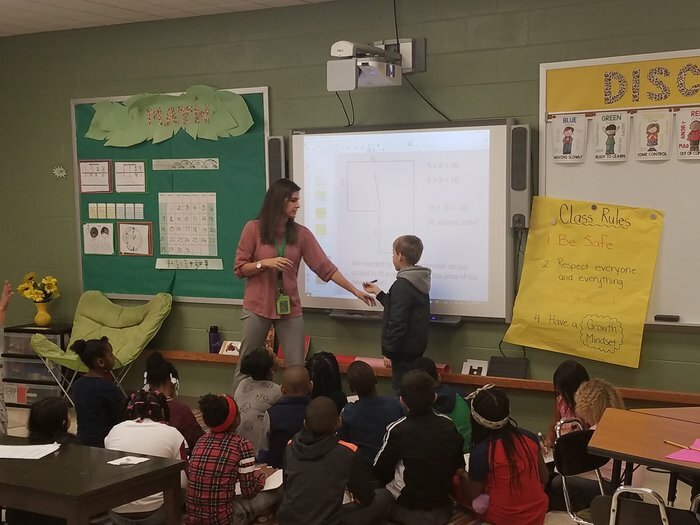 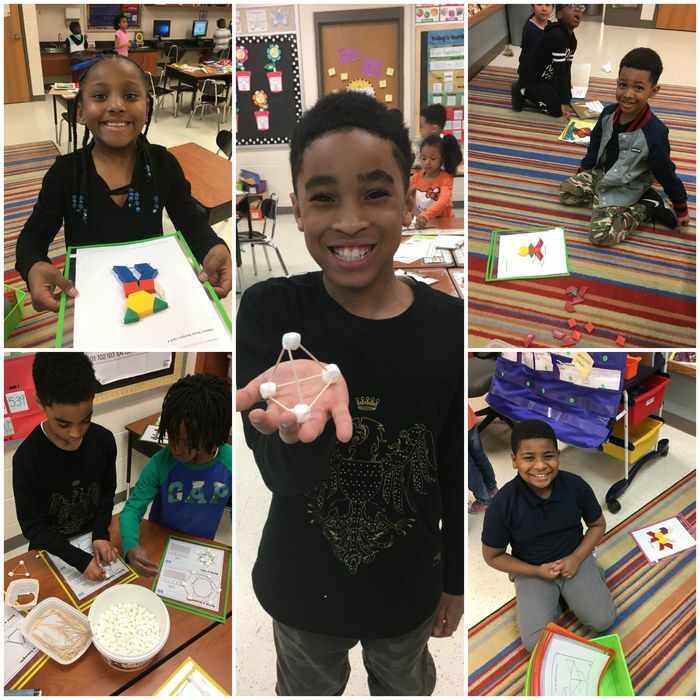 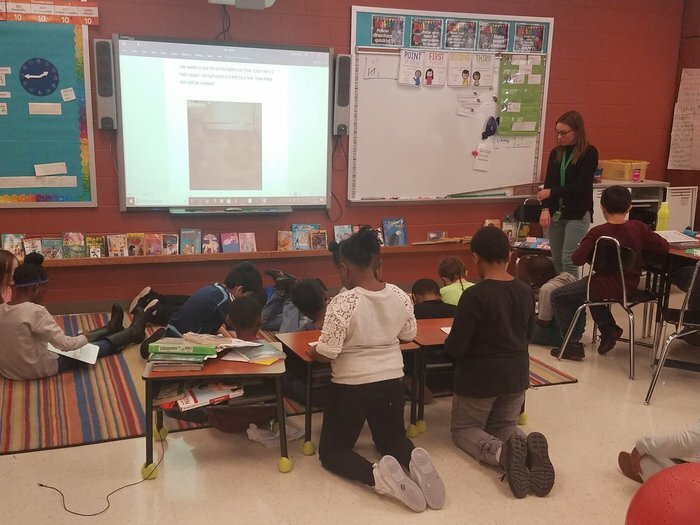 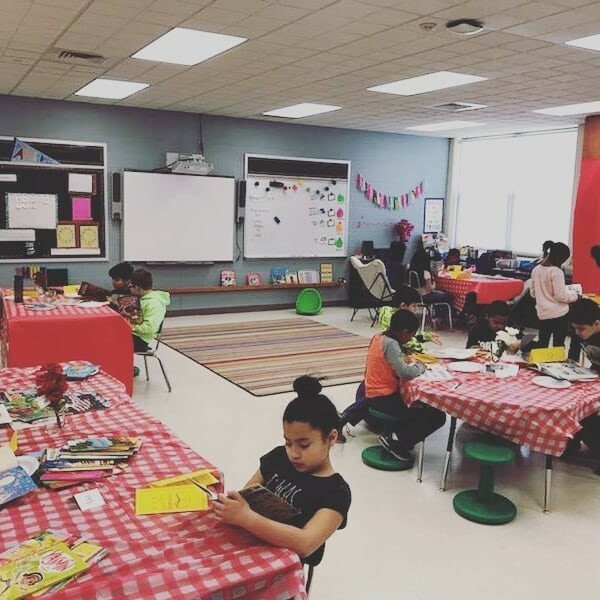 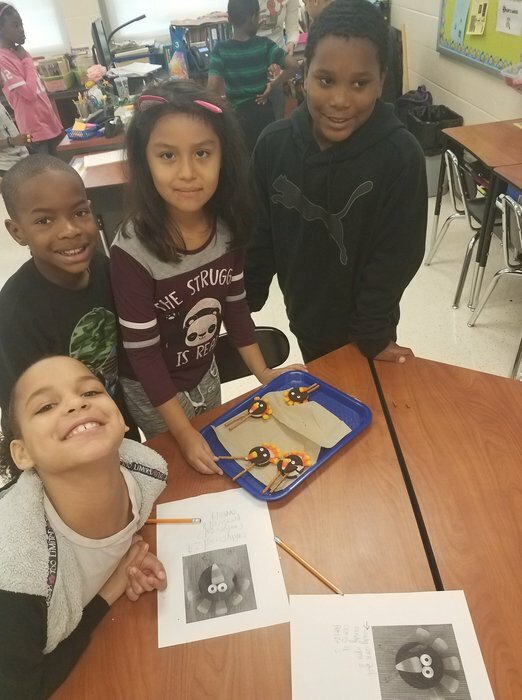 Oak Glen Elementary School 2nd graders had some STEM fun in Mrs.Forsyth's class, and 3rd graders hosted a book tasting! 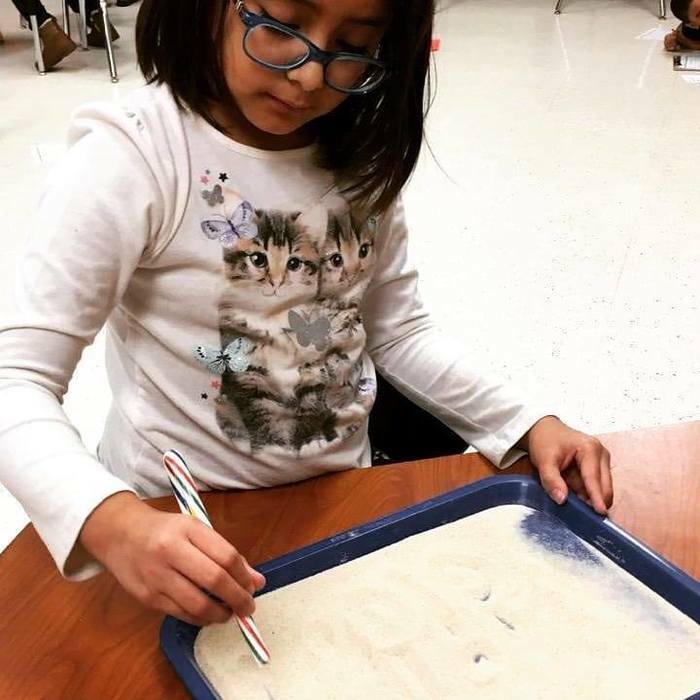 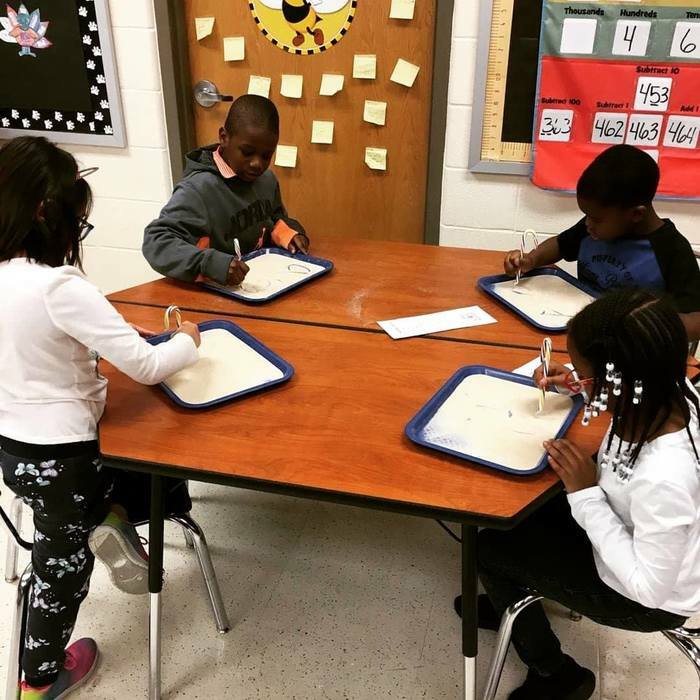 1st graders channelled George Washington today by writing with feathers. 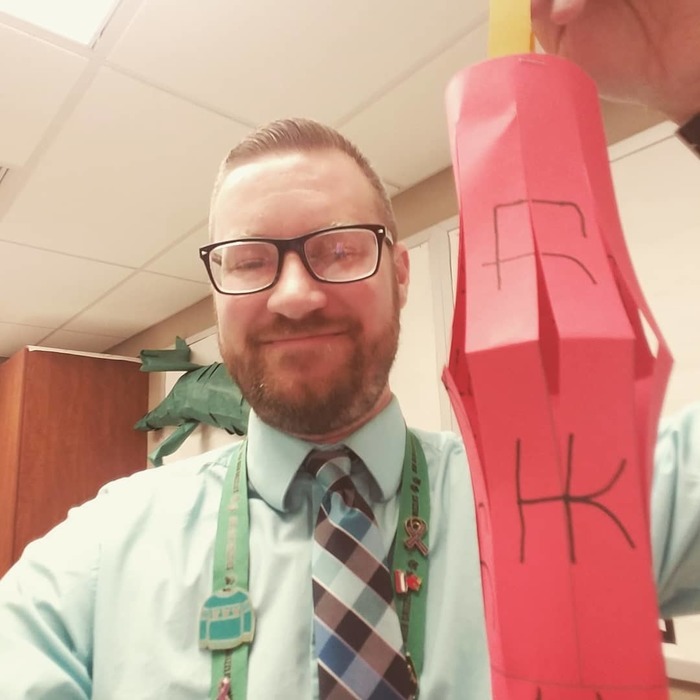 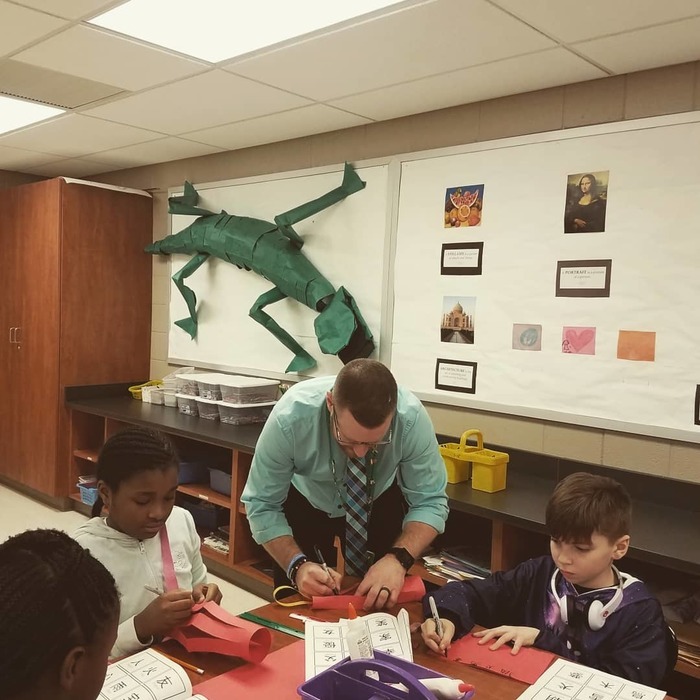 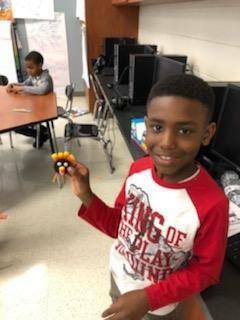 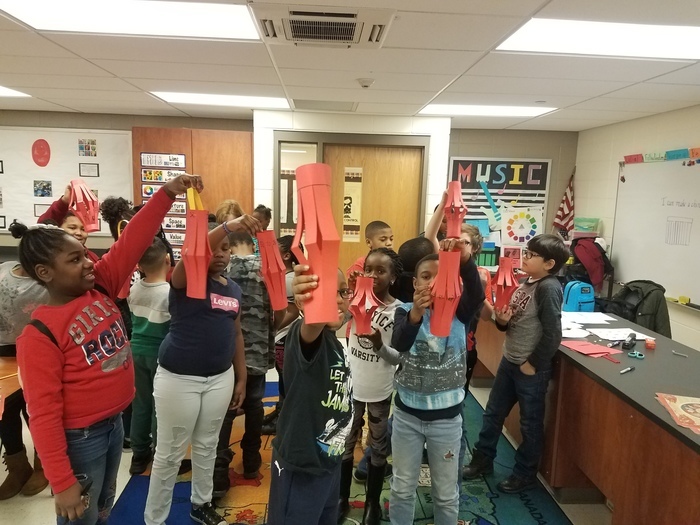 Oak Glen Principal Mr. Earnshaw was able to hang out with Mrs. Nye & Mrs. Smith's fourth graders during Mrs. DiGrispino's Art class learning about the Chinese New Year and making our own Chinese lanterns! 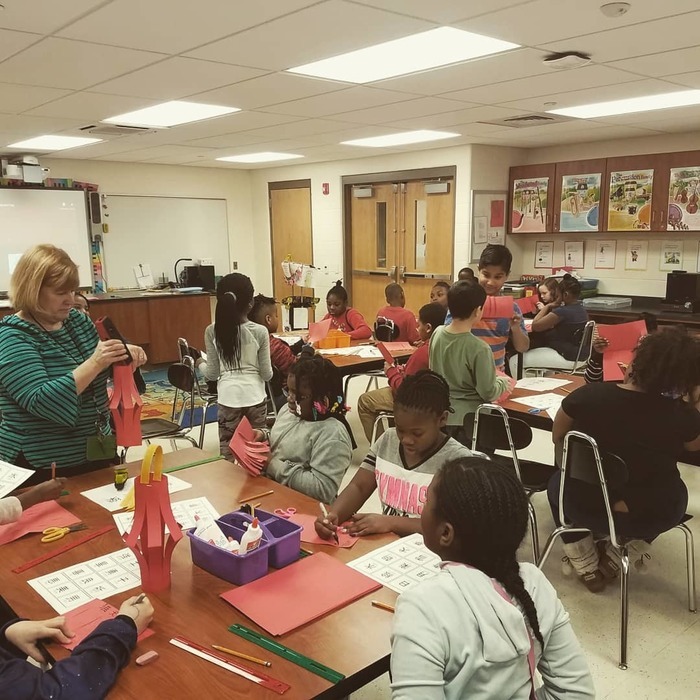 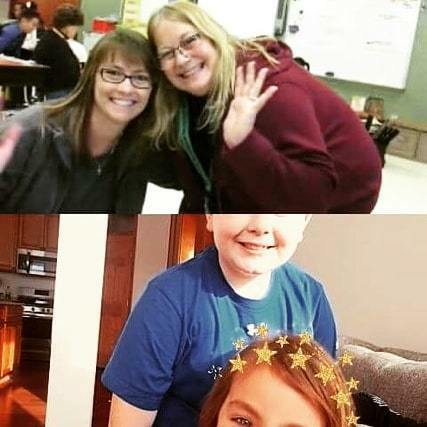 Mrs. Kmetz and Mrs. Nieckula at Oak Glen recently had students move out of district. 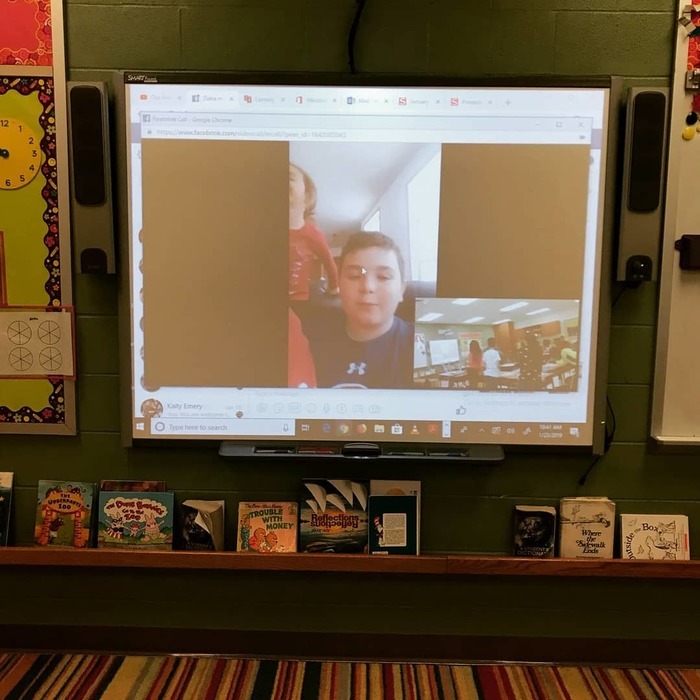 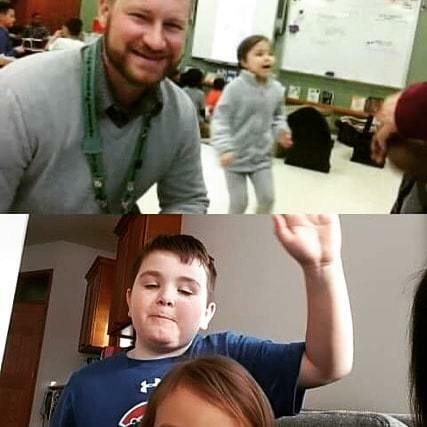 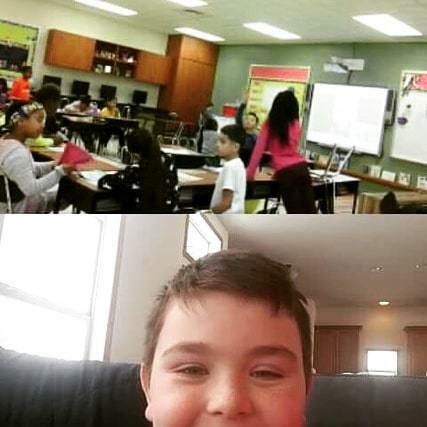 They had a snow day today and Skyped in to visit and tell us all about their new school! 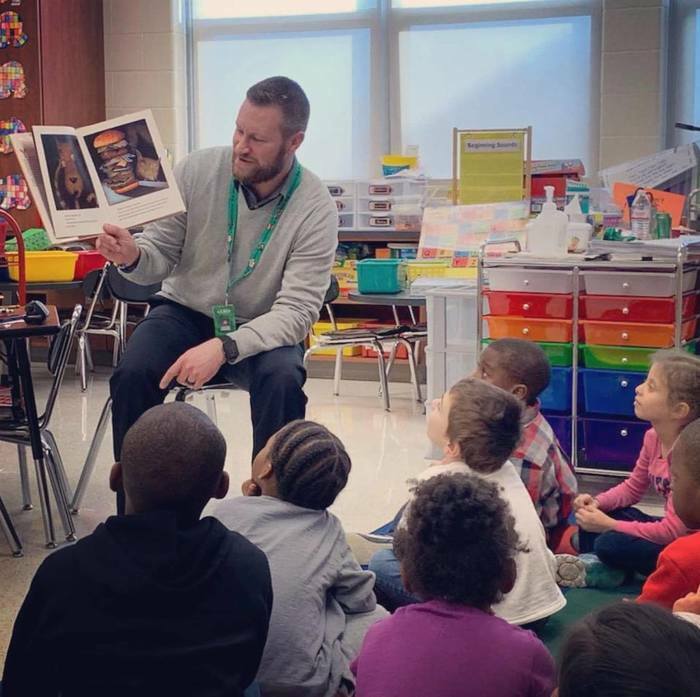 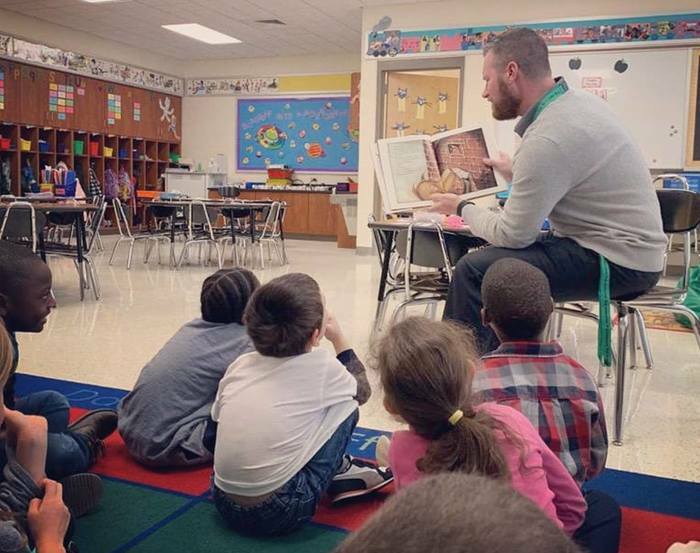 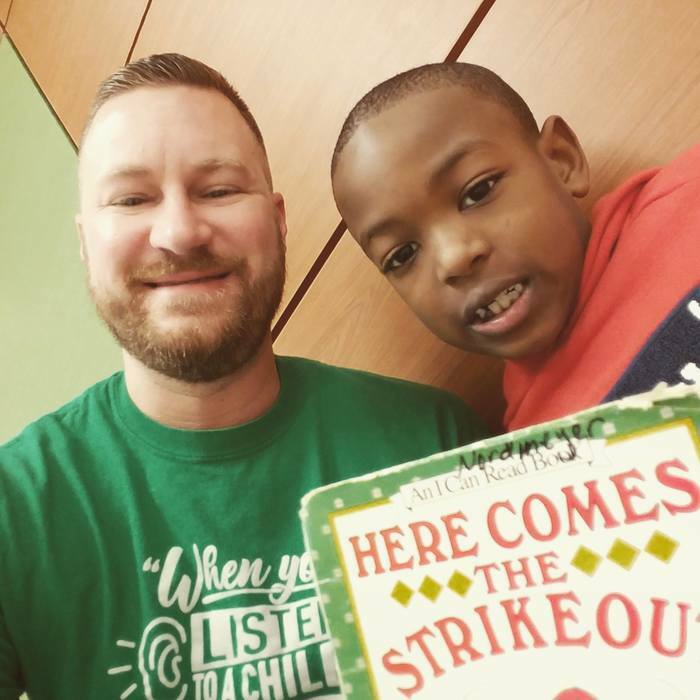 Oak Glen Principal Mr. Earnshaw's favorite PBIS reward is when students choose to read to him! 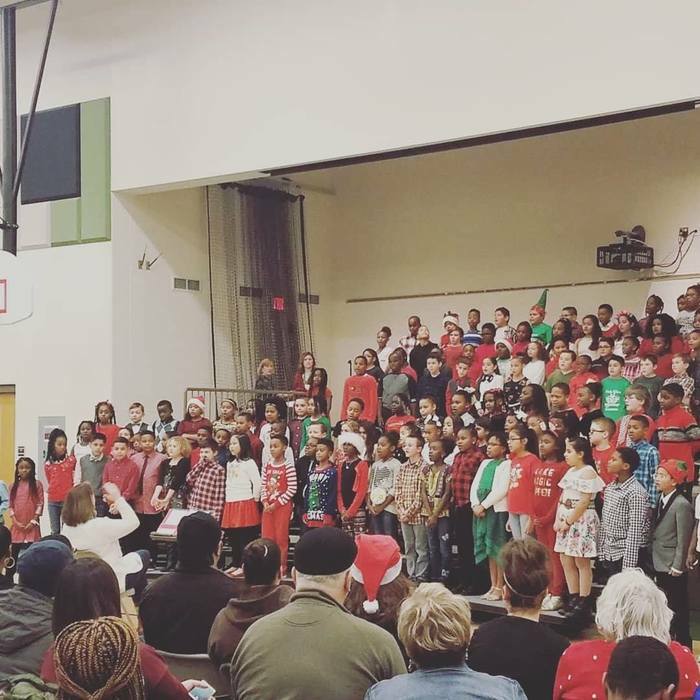 Oak Glen 3rd & 4th graders did an amazing job with their Holiday Concert on on Thursday, December 13! 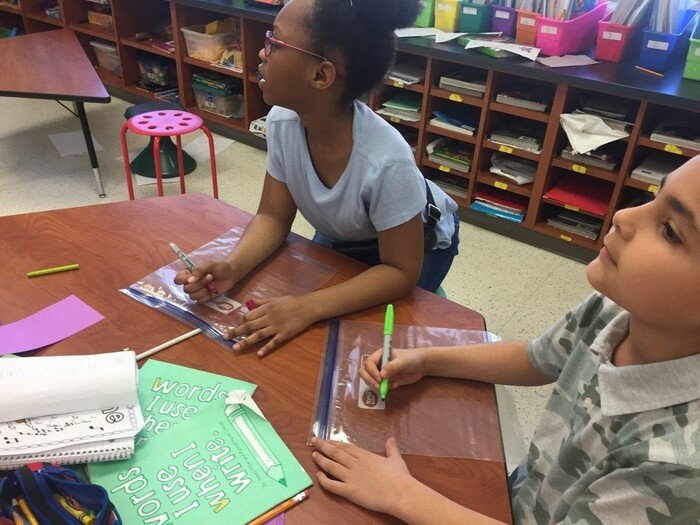 Mrs. Ores' 2nd graders practicing spelling by writing with candy canes! Oak Glen's Kindness Club hard at work! 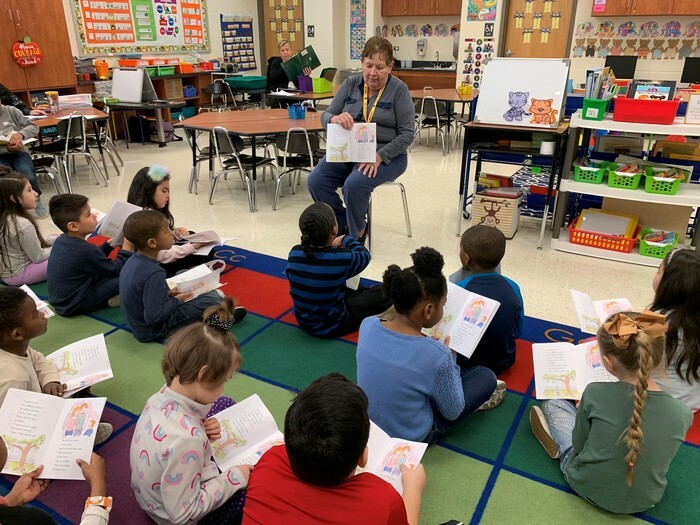 Thanks Mrs. DiGrispino for your dedication to our students & hard work! 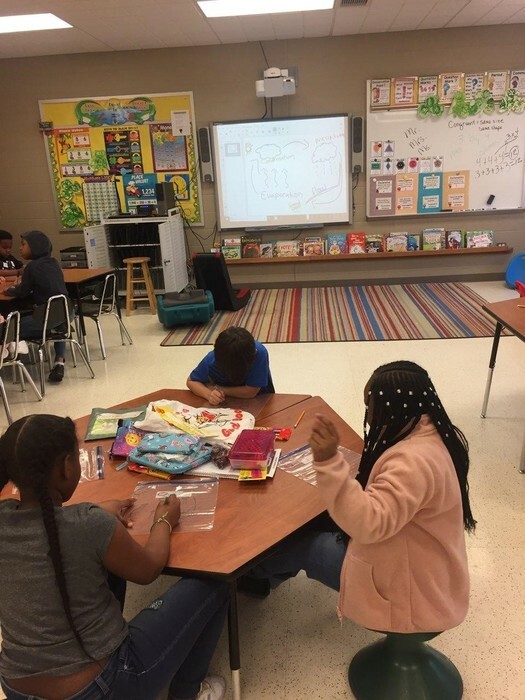 Mrs. Nye's 4th graders planning out how to re-tile a bathroom floor! 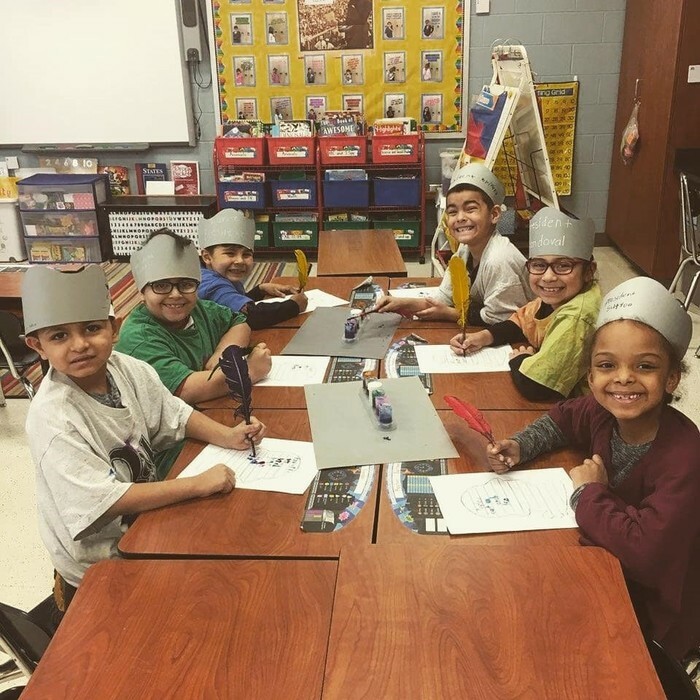 Also, learning doesn't stop during bathroom breaks at Oak Glen! 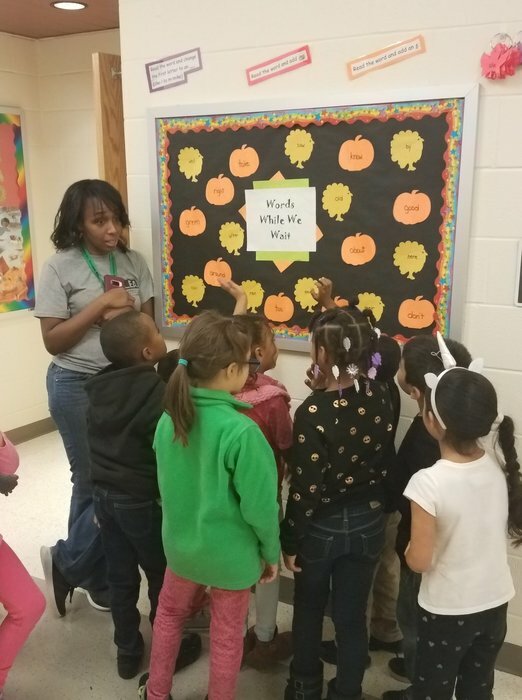 Mrs. Robins' 1st graders at our Words While We Wait board! 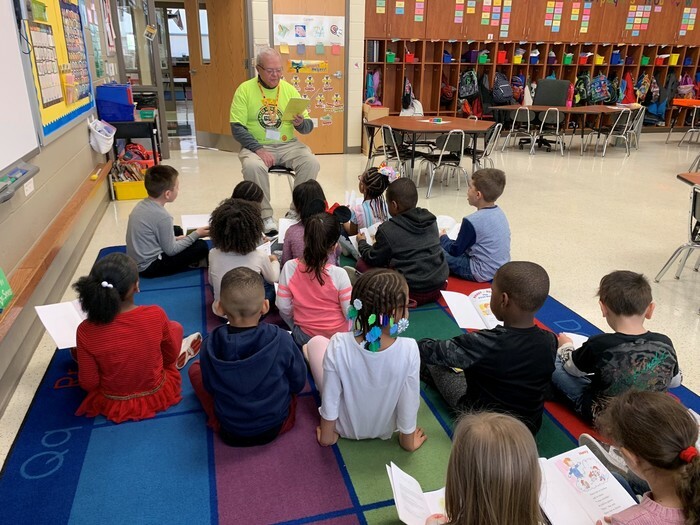 Mr. Earnshaw teaching Mrs. Fortin's kindergarteners about the True Story of the Three Little Pigs! 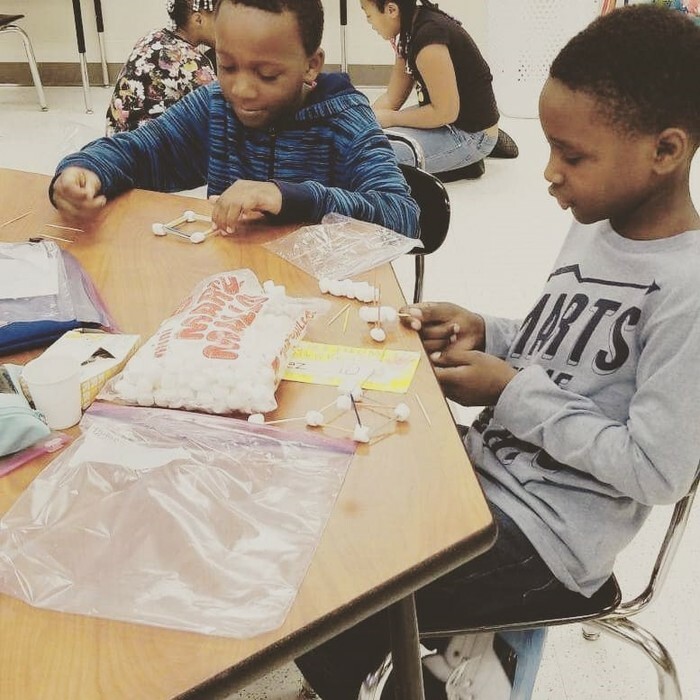 Oak Glen 3rd graders turning problem solving in math to a tasty, hands on activity! 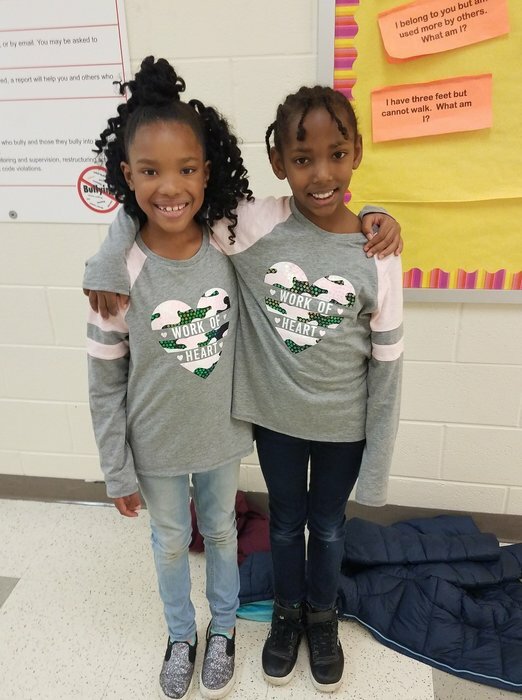 Twin day at Oak Glen! 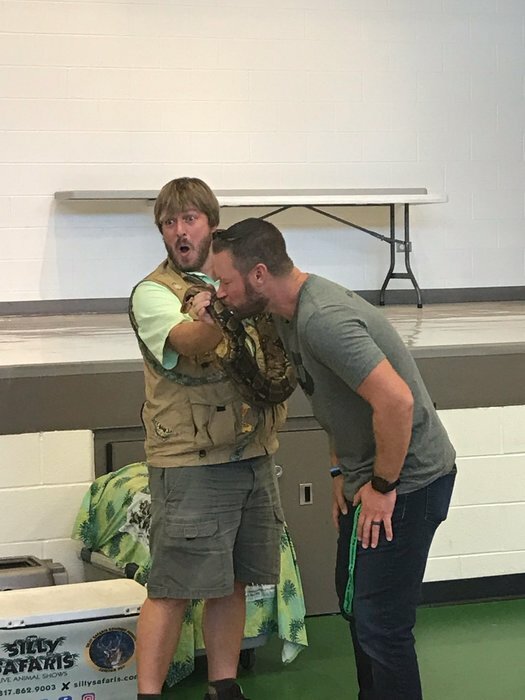 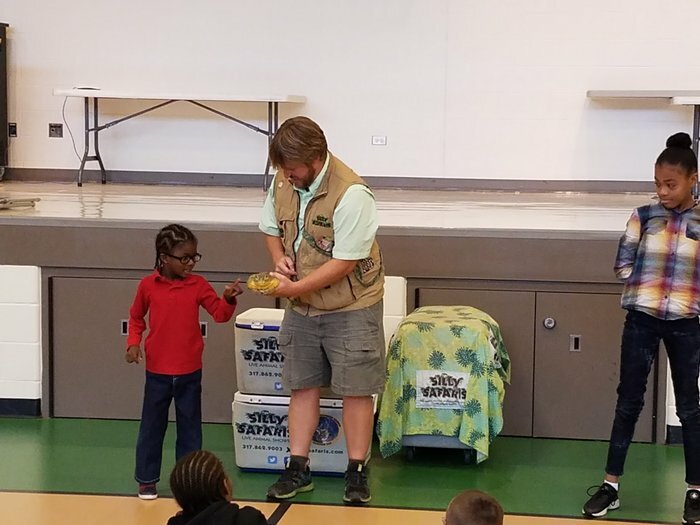 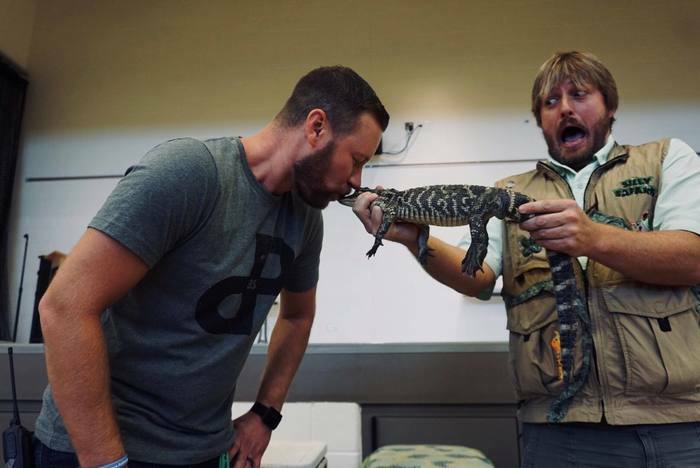 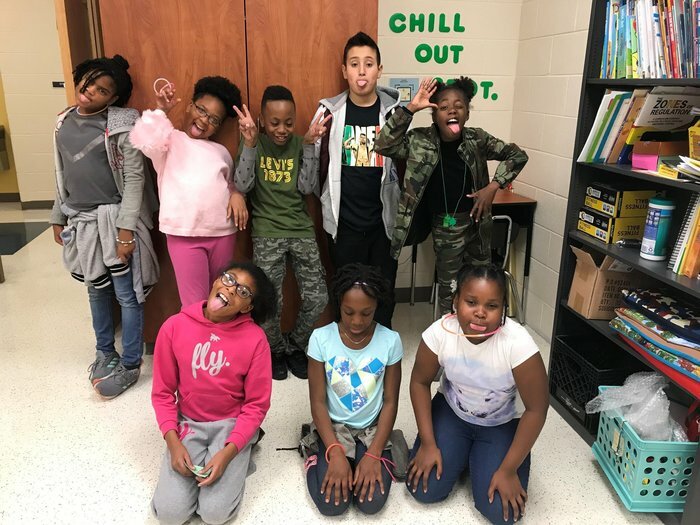 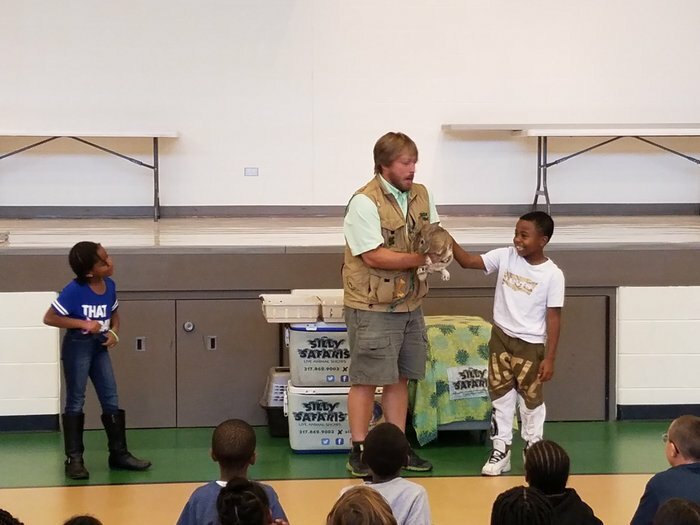 Oak Glen Elementary hosted a Silly Safari for fundraiser winners, Mr. Earnshaw kept up his end of the bargain by kissing an alligator and boa constrictor, and 3rd graders participated in a Dia de Los Muertos themed escape room! 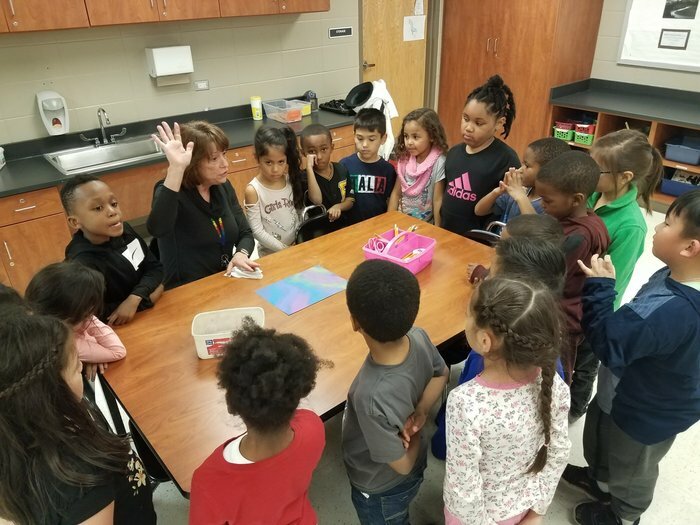 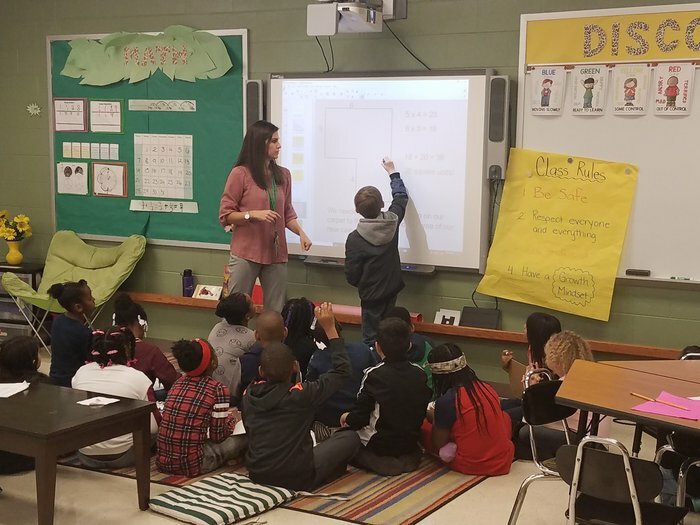 Oak Glen 3rd graders collaborate to prove the teacher has the wrong answer (Mrs. Shireman put the wrong one up on purpose), and 1st graders learning about Aurora Borealis prior to making their own sketch in art! 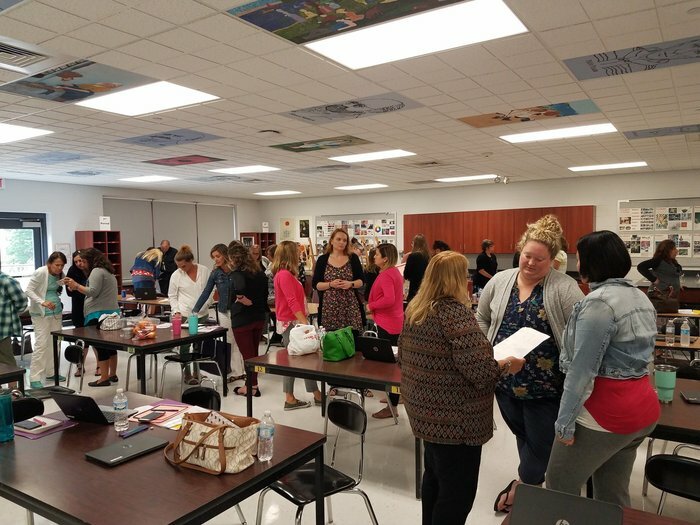 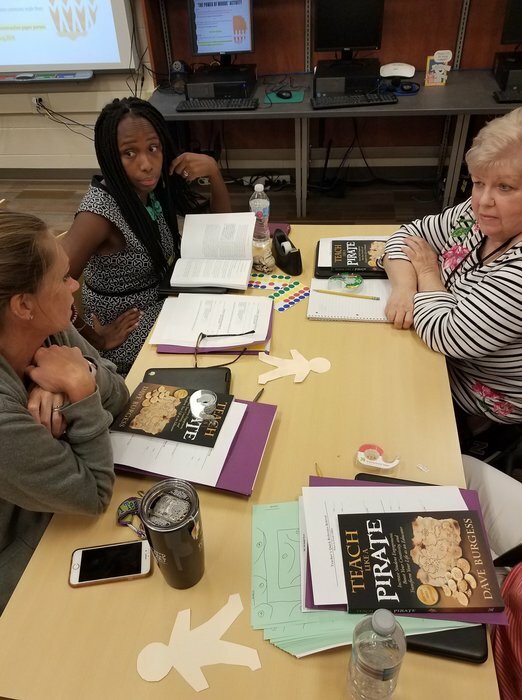 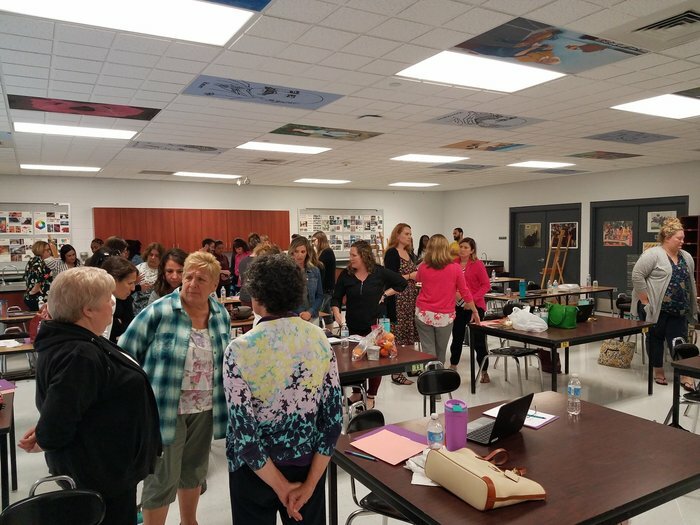 Oak Glen staff collaborating on the Power of Words activity at our Opening Day Institute! 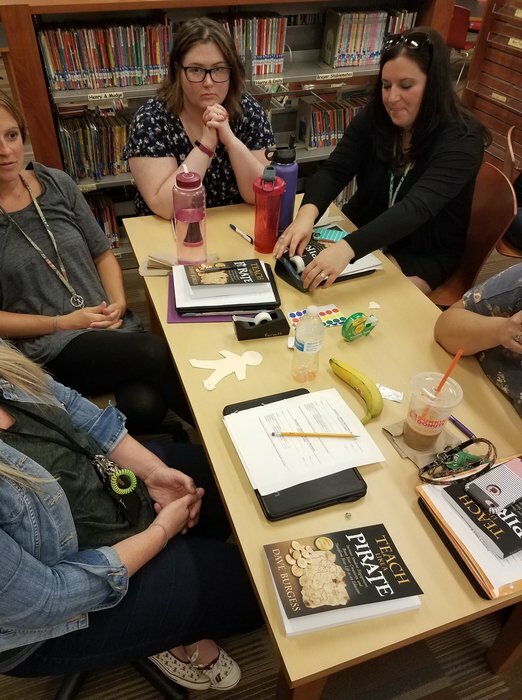 Oak Glen staff collaborating across grade levels regarding PARCC results.